"Rosa was a lovely and kind person. She always made me smile." "I would like to express my sincerest condolences for your..."
"I am one of the many many people whose life was improved by..."
"much love from the kerbis family, who were profoundly..."
On February 8, 2019, Mrs. Rosa King of Santa Fe, New Mexico graduated to be with the Lord at the age of 92. 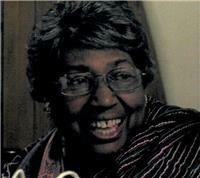 She was born in Marigold, Mississippi in 1927 to Charlie V. Withers and Melchi Thomas. She was married to Nathaniel King, Sr., for 57.5 years and through their union had two sons, Nathaniel King, Jr. and Carl Lee King. Her life was filled with being a working mother, active in church service, factory worker, caregiver for Down's syndrome children, nanny, Chicago school system employee, and loving wife. Her warm smile, laughter, and cheerful personality will be missed. Her greatest joys were serving the Lord and being a good wife and mother. She is preceded in death by parents, Step-Father, Otto Reed, husband, Nathaniel King, Sr., and son Carl Lee King. She is survived by her son Nathaniel King, Jr. and wife Susan Roth and many relatives and friends. Mrs. King will be buried in Bakersfield, California next to her husband at Greenlawn Cemetery. A Memorial Service will be held on Saturday, February 16, 2019 at 11:00 a.m. at Santa Fe Baptist Church located at 4977 Agua Fria, Santa Fe, NM.